Top 10 Beginner's Recipes: Healthy Food Has Never Tasted So Good! Having a solid list of recipes you can turn to when you get busy is important for sticking with your diet. Here are 10 easy-to-prepare, taste-bud satisfying recipes to get you started. If you're starting to warm up to the idea of making some positive changes with your current diet and are now on the hunt for easy-to-prepare, taste-bud satisfying recipes, these will do just the trick. Having a solid list of recipes you can turn to when you get busy and don't want to 'think' about what you're having for your meals is important for sticking with your diet because without this, chances are you're going to opt for the next best option - take out. While you still might be able to get a nutritious take-out meal if you make your selection very carefully, it's still likely not going to be as good as if you had prepared something yourself. Here are some beginner recipes to get you started. Pancakes are a favored breakfast for many, but unfortunately they also usually contain far too many calories and fat. Here is a lighter recipe that will fit much better with your overall meal plan. These protein-packed muffins are great to start your day off with because they combine all three macronutrients for a well balanced breakfast that will provide plenty of ingredients throughout the day. 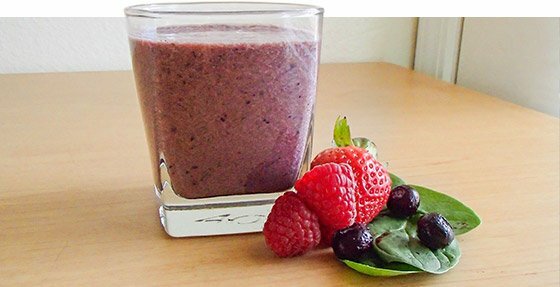 This smoothie is a good option for those of you who are looking for a quick afternoon snack to help get you through your afternoon or who are in need of a fast meal replacement. Eat with one ounce of nuts for a complete meal. Many people focus mostly on rice, oatmeal, and pasta dishes that they overlook one other type of whole grain that is incredibly healthy - quinoa. Quinoa, a species of goosefoot (Chenopodium), is a grain-like crop grown as a crop primarily for its edible seeds. It is a pseudocereal rather than a true cereal, or grain, as it is not a grass. Its leaves are also eaten as a leaf vegetable, much like amaranth, but the commercial availability of quinoa greens is currently limited. Quinoa contains a full compliment of amino acids, making it a good option for those who are vegetarian. It's also cooked very similar to rice, so it's quick and easy to prepare. In a small bowl combine the chopped vegetables, mayo, and salad dressing. Next add in the quinoa and salmon until well blended. Serve chilled. Tuna burgers are a great way to satisfy your craving while sticking on your diet. If you happen to be on a low carbohydrate diet, rather than having the burger on a whole grain roll, place it between a couple sheets of lettuce and exchange the rolled oats for finely chopped vegetables. Combine the tuna, oats, and whisked egg whites together. Stir in onion, mayo, garlic and onion powder and then form into patties. Place the patties on a skillet and flip at half time as you would with a regular hamburger. When someone starts up on a diet, pasta is often one thing they miss the most. Since pasta is both high in calories and carbohydrates, it is often one of the first things that people will remove from their diet. Luckily it's fairly easy to come up with a suitable substitution that will help satisfy your craving - spaghetti squash. Beat the egg whites together and then combine with remaining ingredients. Once moist, form into small balls and set aside. Next, half the spaghetti squash and then place cut side down on a microwaveable tray in about 1/2 an inch of water. Microwave for 6-8 minutes and then let stand for five. Meanwhile, saute meatballs in a small amount of olive oil or chicken broth until cooked through. Scrape out the strands from the spaghetti sauce and top with heated pasta sauce and meatballs. Sprinkle over a small amount of light Parmesan cheese. 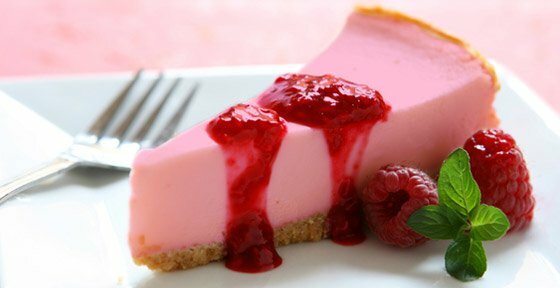 For those of you who find you're constantly craving cheesecake, this is a fantastic recipe that you can use to help beat those cravings while giving your diet a boost in protein. 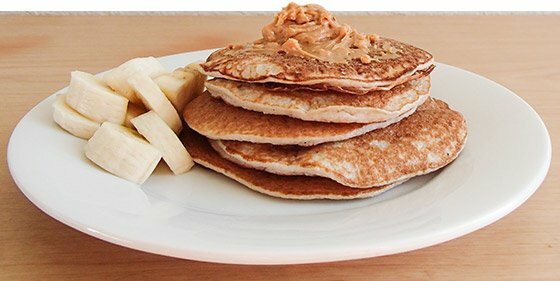 This simple recipe is great to kill your cravings while helping you reach your protein needs for the day. Play around with different flavours to match your individual taste preferences. Also, keep in mind that you can easily make this into a parfait simply by laying the pudding with sliced fresh fruit and low-calorie Cool Whip. Prepare the pudding according to package directions, using the slightly reduced volume of skim milk. After pudding consistency has been reached, blend in the protein powder and then chill to let set. Note that the brand of protein powder you use will influence the consistency of the pudding - some protein powders tend to make it thinner, while others will make it thicker, so adjust the volume of milk added accordingly. If you're working towards building muscle, getting in enough calories can become challenging. This recipe makes it easier by providing a healthy source of carbs, protein, and fat. 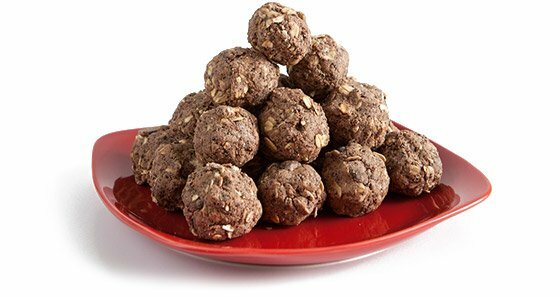 These are easily transportable as well, making it ideal for those who are looking for something to snack on at work or during class. This is a great recipe for someone who is following a much more strict diet and is looking to maximize their protein intake while curing their craving for banana bread. Note that this recipe can easily be adapted to whatever taste preferences you have, changing out the protein powder flavor and extracts. So, try and incorporate each of the above recipes into your meal plan or search for others you can fall back on when times get busy. Spending that initial time finding your favorite recipes will be well worth the effort when you see how much easier it is to stay on your eating plan.